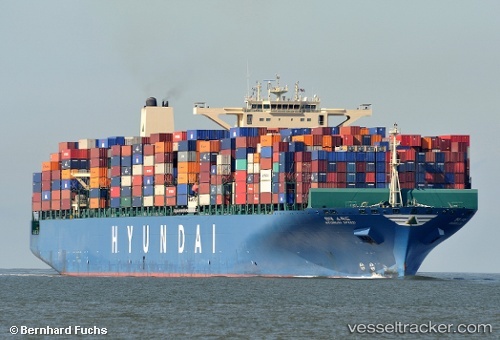 A docker of 54 years fell into the Elbe while mooring the "Hyundai Speed" on Mar 28, 2014. When being about to fasten the stern wire at the pilings in Finkenwerder this got caught in the rudder of the vessel. When it slipped off again, it hit the man who was thrown into the water. The "Mooring Tug 2" saved the man and took him to the Mooring pier in Finkenwerder from where he was taken to Hospital by an ambulance. In the run of the day he could be released. The police launched an investigation.